John Moody grew up ranch tough on a small cattle spread in Wyoming. A pair of gifted hands and the ability to run precise routes sent him to college on a football scholarship. In college he played wide-receiver and partied a lot. Now he's a Navy SEAL. A hard calling, but he was hard long before he arrived for SEAL training in Coronado. With the Berlin Wall down and the Cold War cooling off, there was little work for this young SEAL lieutenant. So he partied on-until the Kola mission tasking. In the far reaches of the Northern Military District, a Russian general is trying to keep his underpaid and under-equipped forces intact. To do this, he is reconfiguring tactical nuclear warheads and selling them on a cash-and-carry basis. And America's newest adversary, the Islamic extremists, desperately want them. The CIA has indications but no proof that this is taking place. The proof America needs is in the hands of a well-placed agent in this same general's forces. That agent has gone silent. 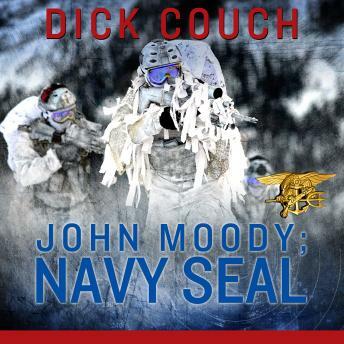 In order to reestablish contact, a team of Navy SEALs trained in winter warfare is sent secretly into northern Russia-to the frigid Kola Peninsula. And that team is headed by none other than John Moody.